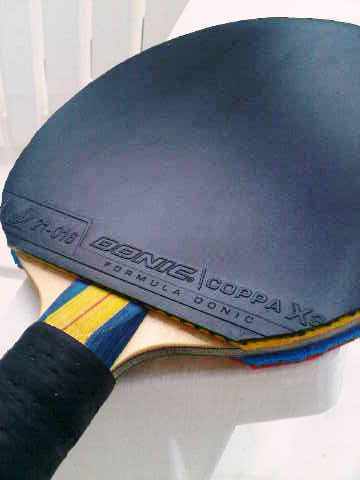 Donic waldner legend carbon + Bluefire m1 max both sides would be head heavy ??? Or is it a balanced setup with a little bit weight towards the head. What are your thoughts . 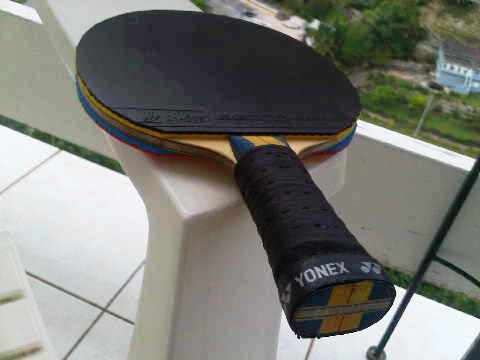 . .
Donic waldner legend carbon + Bluefire m1 max both sides would be head heavy ?? ?Or is it a balanced setup with a little bit weight towards the head.What are your thoughts . . . 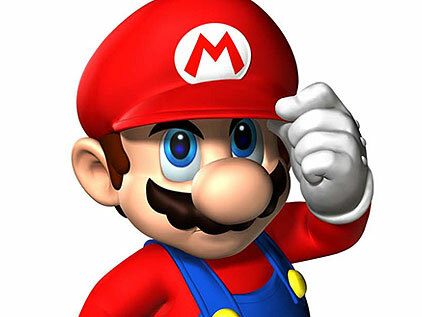 The legend does have a larger than average head size, and M1 is heavy, so I think this would be a bit head heavy, yes. That might suit you though, it's down to personal preferences. 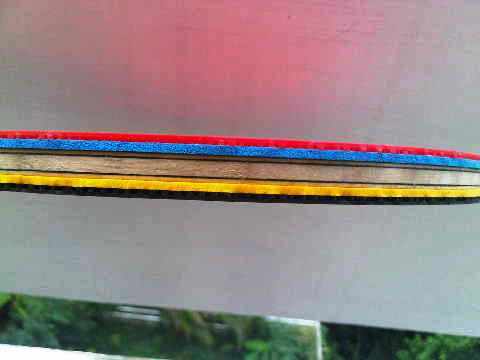 6mm, you can see my specifications and review on this blade on the first page. However the review does need a bit of updating. Very heavy with a lot of weight towards the head!!! But if that is your cup of tea then go for it. I feel like no player under 2k usatt can justify getting thicker/faster/spinnier/harder than M2 2.0mm and that's why I switched to that for the fh. Of course there are people that level and under with a monstrous fh loop who can handle M1 max because they go super fast 100% all the time on all FH shots but they are exceptions imo; other people just fool themselves thinking the points they wins by going from M2 2.0 to M1 max are more than compensating the ones they lose in the switch. That's why on any blade including the Waldner Legend Carbon (that I did not try yet) I'd recommend m2 2.0 over m1 2.0/max. I find M2 Max quite controllable on this blade. For some reason I just could not warm up to M1 on this blade. The problem was the short game with the M1 felt a little out of control and lacked a little feeling as compared to the M2. In past I have used YEO with H3 and sonex jp on bh. My second setup was Tibhar grip S and Sonex jp gold with Stiga clipper CR wrb. I have used Rosewood 7 with rakza 9 and acuda S1 turbo. Now they are heavy setups. I want the speed of the setup equal to rosewood 7 or more so I dont have to put alot of effort from away to the table. Now tell me please I am very keen to have a new setup and I would rate myself USATT 2200-2300. And yeah I had beaten the 1800 player in straight sets easily under 5-6 points without putting much effort . This blade is very popular among the people I train with. I tried it a few times and I really liked it. I just could not resist the temptation to buy one! It's an excellent blade. Easily the best value for money carbon/hinoki blade out there at the moment. The blade is very good. I have just recently purchased a second one at around the same weight 79.9 grams as a backup. January I will set about getting some rubbers for it. Just got my Donic Waldner Legend Carbon blade yesterday and had my first hit session. I was using Friendship and YinHe blades before ordering this one. 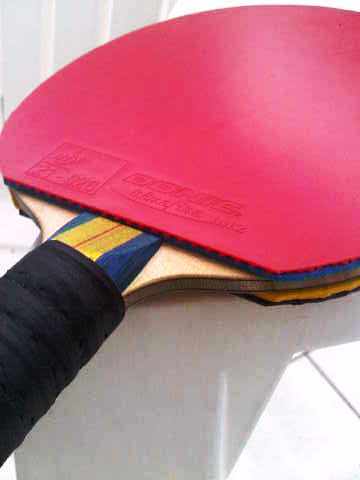 I ordered the Legend with Tin Arc DHS rubber on the forehand and Friendship 729-08ES on the backhand. The TinArc was amazing, accenting the incredible looping power of the Legend. The 729-08ES however, just didn't allow for my attacking style on my backhand. It seemed tha the rubber didn't have the aggressive arc I wanted. 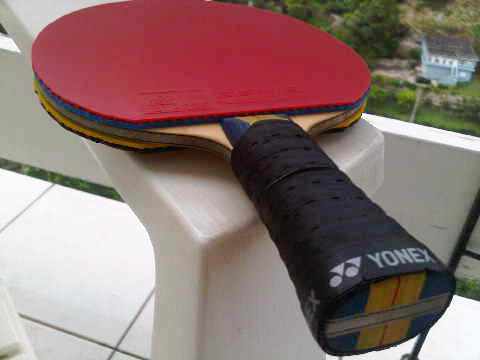 I switched to the SST cross by Friendship which is a softer rubber allowing more dwell time and my backhand came alive. I have read that many players feel a slight vibration with the legend but I however, felt none at all which is exactly what I like in a blade. Possibly because of the chinese style rubber i use as opposed to the donic M3, etc. I have seen used in most of the posts here. One unique quality with the legend I liked was the ease at which I could vary my loops. Slow loops had extreme spin and I could transition to a fast loop with ease. this was an invaluable weapon against the attacking blocker players in my club. They struggled controlling the ball with all the variations I used while looping. Drives were great and actually had a second gear when smashing or attacking with quick flips on both sides. I really enjoyed the speed glue sound that it has which many at my club accused me of using so much I had to show them my glue to verify I wasn't speed glueing...lol. I compared this blade to the Yinhe T-10 and the Andro Super Core Cell Off+ as these are the fast blades I was using and it was a different league. Although the T-10 was thicker yet lighter, I felt that it didn't have near the looping power of the legend and it was very big and bulky with its thick balsa center compared to the legend which, although heavier felt more like a weapon then the T-10. The Andro Super cell off+ which was a fast blade to me before the Legend seemed very sluggish after using the legend for a hour. I had to switch to speed rubber such as Friendship Focus III Sniper and 729-08ES in order to even play with it. In short the legend is exactly what I was looking for and I have to say that megaspin's speed rating is very accurate and I appreciate that. Using spin chinese style rubber adds dwell time which adds control to this explosive blade. there is no blade better then this in its price range. I have tried the Ovtcharov Carbospeed, my conclusion is that it is a lot softer than TBS, Primorac Carbon and of course, Schlager Carbon. It is also a bit softer than Yinhe T-2, speedwise it is almost the same, but the materials used are visibly different. Compared to PC, the center ply is a little thicker but the top plies are a little thinner. The FL handle is very nice, it is bigger than Yinhe handles but not as large as a Stiga Legend. Weight distribution is also very good. It is very good for all out attacking, very stable. It is not a substitute for BTY carbon blades and I have a hunch it is China made but do not get me wrong, it is a very good blade. It does not vibrate at all and contrary to belief, I would only rate it as OFF. I received this blade about a week ago, maybe a bit longer. Inspecting the blade initially I would say the fit and finish is quite high with a very interesting color scheme used on the handle that really gives the blade a fun look. If we should use Butterfly blades as the benchmark then I would give the fit and finish of this particular blade 8.5 on a scale of 1 - 10. The materials used seem to be of very high quality with a nice hefty/thick Kiso Hinoki top ply evenly grained (really nice). As a matter of fact I would say that the quality of materials used would be a full 10. Please be cautioned that I have not played any serious matches/games with this blade as yet. Used for the past week on my Robot and practice sessions with other players. So far this is my initial impressions and subject to change over the next two weeks which I will update as time goes on. As I said these are my initial impressions and subject to change over time. I dressd the Waldner Legend Carbon with Donic Bluefire M2 Max forehand and Donic Coppa X3 Silver 2.0 backhand. Initial bounce test I found the setup to be not overly bouncy on both sides which indicated in all probability good control and could be on the slow side (or so I thought). I may add that both rubbers are brand new so a bit of break in time was needed. Attachd Bluefire with a light coat of RC and Coppa X3 Silver with Donic Vario Clean and had it in the press on and off for over 48 hours (between playing time). Total setup weight with hand grip is 178 grams which kind of surprised me as I really did not expect the weight to be that heavy based on the blade weight. The blades head is oversized (a lot of real estate) at 155mm x 160mm and a cut sheet of M2 for this blade with a bit of over hang would be around 52 grams. The normal weight of this blade should average 85 grams so the same setup using a 85 gram example the weight would be 183 to 185 grams. The balance of the setup is more towards the head. The handle is very comfortable with the wings/throat cut high like most Butterfly blades (The Gergely is a good example). Short Game: As I thought, very controlled as the setup is not overly bouncy. This is one aspect of this blade (setup) that bothered me at first but I got the hang of it after the fist few hours. You have to play every shot and in comparison to my Li Ping Kitex (Dimension of Kitex is 150mm wide x 155mm height x 6.75mm thick) and basically setup the same way (much more bouncy) a lot of rebound comes into play. I could actually load up the backspin on my short game without any nasty popups or the chance of going over the board unless I am not reading properly what type of spin is coming back at me. In comparison to the Kitex, I had to adjust the push and touch angle a bit more horizontal in most instances with the Waldner Legend. Backhand and forehand flicks are easy and very controlled but not as spinny as I would like. I will see if it gets better in the coming weeks, probably a little change in technique. The blade has excellent feel and touch with slight vibration. It has a unique feel that is hard to explain, kind of a dryish feel (Kiso Hinoki) and a short quick vibration and pitch with a very sharp feel. Its as if the blade speaks to you letting you know exactly what is happening, a bad shot you know right away. In Comparison to the Kitex the Waldner Legend has more control in the short game but you have to be more active in the short game with the Waldner Legend (short game control very similar to the Nexy Spartacus with a sharper precise feel). Attacking Shots: The Waldner Legend is a very fast, linear blade with many gears. Together with the Bluefire M2, it is as if both rubber and blade were built to compliment each other. Paired together this becomes one hell of a looping machine. There is a slight amount of flex (6mm) thick plus over sized head (155 x 160mm) plus M2 Max and a dash of that unique feel equals you are in looping territory, a consistent controlled looping instrument. The spin is just ridiculous!!! In comparison to the Kitex the Waldner Legend is more linear and controlled in attacks. Loop drives borders on Insanity!! Counter loops are good but you have to keep a more horizontal stroke for this shot. However I find the Kitex a bit better at counter looping in this regard and that is probably due to the Kitex being .75mm thicker and less flexier. Flat hits are fast and hammering and is just as fast as the Kitex. On the backhand side the Coppa X3 Silver while very good in the touch game plays very well on this blade on attacking strokes. While my backhand is weaker than my forehand I was able to loop on that side with good spin and backhand drives were very fast. As I said before the Waldner Legend does not have as much rebound as the Kitex so I was able to really unload with my backhand to finish the point or a beautiful high return and a easy put away. I will add one more note to power shots. The Waldner Legend Carbon has another upper gear (Super Charged) or so it would seem to me. I will not say much about this aspect of the blade until I can get confirmation from another player here on the forum. Blocks: I found blocking quite easy with this blade. You will find active blocking quite controlled for placement, if of course you have the time to do this. I am no expert at punch blocking but I did punch block a few back on the board when my training partner erroneously put some weak loose loops my way. I found with this blade/setup, I was putting a lot of balls back on the table, much more than usual which caused my opponents to make a lot of errors. Serves: Quite good and as I said before due to the low rebound you can serve quite short or load up on some really fast serves. I have have been playing with this blade over the last two weeks after coming off of the Li Ping Kitex before that. With the Waldner Legend I have lost a few games and I have won a lot, and I have had fun during both loosing and winning. The Donic Waldner Legend Carbon is the most linear blade I have ever used. For the money this blade is a must try, for value two thumbs up. At around US$70 I am hard pressed to name any blade at twice the price that I can think of that is truly much better than the Waldner Legend Carbon. As you can see from the pictures shown this blade looks like a fun blade especially with both rubbers used, the color scheme really attracts a lot of stares. Everyone is curious about the Bluefire M2 and the Waldner Legend Carbon, and even the almost antique Coppa X3 Silver has gotten a lot of admiration. I have been using Bluefire M2 for near two months now on my Kitex and no one ever noticed or gave it a second glance. The first minute on the Waldner Legend Carbon and it was in Hollywood, WOW!!! Most of what @carryboy mentioned above are very accurate as far as this blade's characteristics is concerned and in my impression coming from a "pure wood" to "composite " blade i was kinda debating if i would miss the feeling , close to the table game as well as short game ; however this blade proved me wrong and i feel i could control all gears in the blade very well possibly because it is very linear which i like a lot in a blade. It took me a few days/ about a week to actually get used to the feel of this blade and am still learning the response of the blade but all it has been is a very joyful experience and it really brought out a different beast out of me during game plays. All in all it has been a great 3 week ride with this blade and have been enjoying every bit of it . The quality and the finish for this priced a blade is stunning. The top ply(kiso hinoki) simply looks and feels amazing. My 2 cents to anybody looking to try out carbon blade moving on from 5 ply all wood this is definitely something one shouldn't miss before investing into expensive one's in the market. it would be nice if you compared with butterfly's primorac carbon. Only Carbon / composite i have played with for sometime were Butterfly Michael Maze (Arylate / Carbon) and Donic wander senso carbon. I haven't played with very many carbon blades from butterfly and not specifically the one's you have mentioned here. Hi guys, and AndySmith in particular, what are this blade's strengths and weaknesses relative to the Rossi Emotion? I could infer: greater speed, stiffer, more power, but I'm not so sure about the shortcomings. How good is it in the short game, for looping, for blocking? Is it much bouncier for touch shots? Is it very carbon-y, or relatively woody? Does the oversize head make it very head heavy, and how is it balanced? I'm a bit worried about this. I'm fairly happy with the Emotion, which is a wonderful do-it-all blade. Can't flaw it, yet I can't help but want to expand my blade knowledge… for example, I don't know much about hinoki, and I don't think the Emotion plays or feel like a typical hinoki blade due to the thin layer, so I'm still curious as to how hinoki feels. Bran, see my review!! I am now on my second Donic Waldner Legend Carbon. Great Blade!!! Ha Bran - what a coincidence! I will be testing these two blades at today's practice !! I'll post a quick comparative review tomorrow. right2niru, I am not seeing your pictures loading, is it still there?? I am not sure , possibly removed due to space . I can send you a PM of the same if you need to look at . Thank you Carryboy, I have made up my mind thanks to the replies I was given in the Rossi Emotion thread – and of course to your initial review. I haven't ordered it yet but I will. I'll post a review once I've played it. 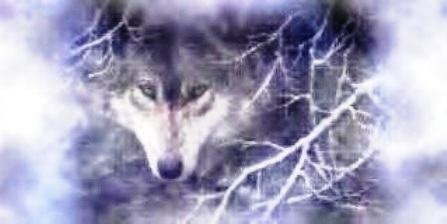 I may wait till the end of the season for this, don't wanna mess around till then. I tested the WLC for 30 min. I think it's pretty much in line with what was described. The blade quality was OK, handle was a bit rough, which I don't mind, but the hinoki plies on FH and BH looked like they split vertically prior to gluing and still were glued side-by-side. Compared to the Joola Rossi Emotion (RE), its bigger head size means it's not as easy to move around. It's probably a matter of habit. I put on new sheets of T05 and JP02. The carbon layer and the hinoki are thicker than the RE's, and so the blade feels number, softer, and the hinoki effect is more pronounced. I generally like a touch more hardness and more vibes, because I mostly loop-drive on my FH (normal loop on the BH) and like hitting as well. For this, the RE is better, though at full power the WLC actually manages pretty well in flat hitting, thanks to the thick carbon layer. It is faster, bouncier and more powerful. It's also stiffer, but it's hidden by the softness until you start hitting really hard, and this is where you can feel the blade's power. At medium gear, the speed doesn't feel that much more than the RE's. It feels fuller and more stable in the high gear. The throw is a tad higher than the RE, so medium-high. Makes it great for looping mid-distance. Flicking I found good as well. The short game was good but I haven't grasped yet at what input strength the blade starts becoming bouncy. Dwell is good but I could feel my loops weren't as spinny – this doesn't say anything about the blade's abilities, just that I'm not yet used to it. I think the main grips I have with it are the head size and the numbness. My loops weren't as spinny and it was hard knowing what to adjust given the lack of feedback. It's quite usual to have to adjust a bit your timing and stroke with a new blade, but numbness makes it harder. I'll need to play more with it to make up my mind about this blade. 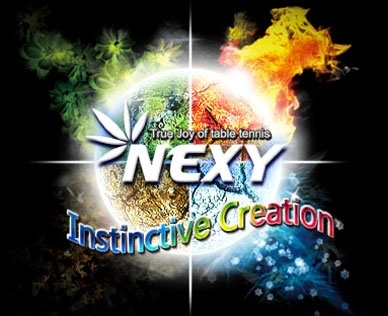 It has undeniable qualities, but I'm worried it will just magnify my game, with its strengths and weaknesses. I may choose to revert to a slower blade to improve my consistency, at the cost of some power and direct kills, before going back to a more powerful blade once I've developed a "feel" for that consistency. 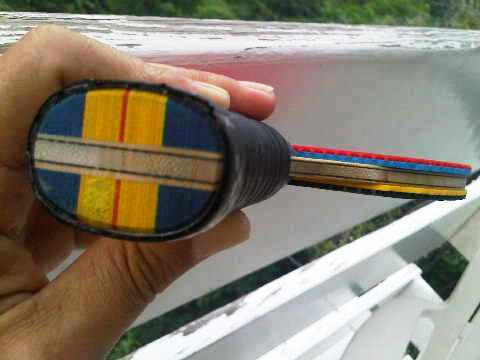 I'm definitely considering this blade with either Bluefire M3 or Bluefire JP 03 rubber. Has anyone played with both on this blade and could offer their impressions on the differences in how each would play on the Legend? M3. Friend uses tenergy on it but he tried m3 rakza7 and jp03 first. The large pores of m3 helped the control enough to make such a fast blade justifiable. Bran, I tried a Tenergy 05 max on the legend the other day and after two weeks I pretty much took it off. I found what you described (numbness) in feel with that combination. In addition I found the WLC with 05 slow and lumbering. However It feels more medium to medium plus to me but then again feel is subjective. As I had stated earlier you have to be mindful of the rubber combination as the setup can become quite head heavy. Grip tape does help with the head heaviness! !